Julie leads the Engineering and Design Team within the InnoTech Centre, co-ordinating and delivering a range technical industry focussed projects through the many support services offered by the InnoTech Centre. The support offered on these projects ranges from ideas generation through to manufacturing and process optimisation across various sectors including materials handling, agriculture, product design, construction and automotive. Julie is also responsible for the co-ordination of the Knowledge Transfer Partnership programme which facilitates collaboration between companies, academia and a part-funded high calibre graduate. Before joining South West College in 2014, Julie had gained 7 years’ experience of industry led manufacturing and design with companies such as Schrader Electronics Ltd. and B/E Aerospace Ltd. Through her industry experience she has gained expertise in facilities management, production line problem solving, lean manufacturing, 3D CAD design using various packages, materials analysis particularly of polymers, rapid prototyping, FEA, design for manufacture, product testing and design validation. 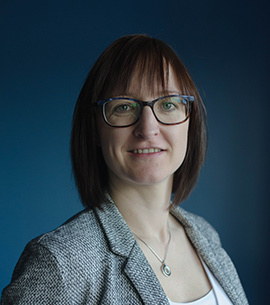 She has previously attained First Class BEng (Hons) Mechanical Engineering from the University of Ulster, Jordanstown, and teaches on a number of engineering subjects within the College.